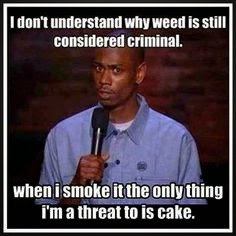 Aunt Mary, bud, cheeba, chronic, doob, ganga, giggle weed, golden leaf, grasshopper, herb, grass, homegrown, jolly green, Kansas Grass, Mary Jane, green, reefer ... a weed by any other name is still marijuana. 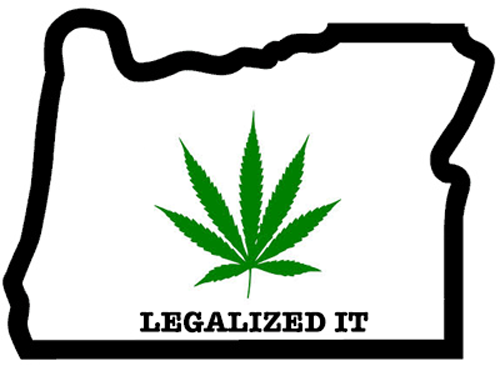 Yesterday Oregon voters ended our state's prohibition of marijuana, taking sales off the criminal market and legalizing possession, use, and cultivation of marijuana by adults 21 and older. OH MY GOD EVERYONE'S GONNA BE SO HIGH! I wish. There'd be a lot more hugging, a lot less violence, and way more snack treats. But the truth is, not everyone's gonna be so high. Those who don't smoke weed now aren't just gonna pick it up the moment it's officially legal next summer and then plop themselves in from of an Adult Swim marathon with Funyuns and Chili Cheese Fritos. But now, this plant that has been forced to thrive underground for decades (and thrive it has, despite its prohibition) can come up out of hiding, into the sun, and shine its economic growth on all of us. Colorado is headed toward $84 million this year from recreational marijuana taxes and fees. And Washington is estimated to bring in more than $50 million between 2015 and 2017. And though it's too soon to say what this new green economy will look like in the long-haul, from a mom's perspective, I would MUCH rather my child get busted by me for being stoned and eating all my Oreos, than getting drunk and doing just about anything. Period. 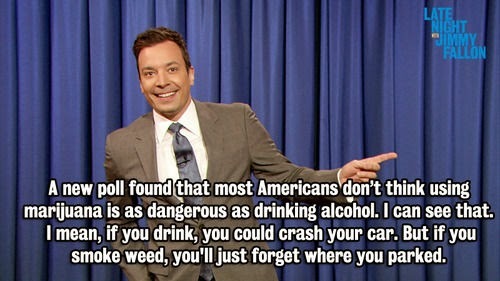 Because I've seen first-hand and close-up what alcohol and marijuana can do to people. And it's night and day.